GOVERNMENT has revoked the allocation of more than 1,000 farm plots by the resettlement department in Luanshya’s Maposa area. Roan Member of Parliament (MP) Chishimba Kambwili declared the allocation of the farm plots in the area as null and void at a public meeting help at Maposa Catholic Church on Sunday. Mr Kambwili said the revocation was a directive from President Michael Sata and that the allocation of the farm plots was not done in consultation with the local people. 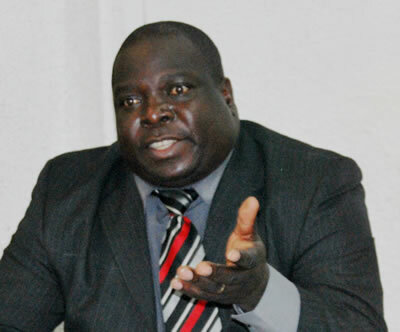 Mr Kambwili, who is Youth and Sport Minister, said Government would not refund people that bought land in the area because the plots were illegally allocated. The area falls under his constituency. “We want the land to be given to the local people who have been squatting for years now. All the plots that were sold to people from the city have been cancelled with immediate effect,” he said. Mr Kambwili said Government had allowed the more than 6,000 hectares of forest area to be de-gazetted into zones A, B, C, and D, and be demarcated into farm plots for the local people. He said the council and the resettlement department would demarcate and allocate plots to the locals by December this year. Mr Kambwili said each family and all their children above the age of 18 would be sold three hectares each at a cost of K50 to be paid in two installments. “The rest of the money would be paid by the Government. We will sell 30 of the 20-hectare plots to members of the public to raise K600,000 needed to demarcate the land. The plots would be sold at K20,000 per 20 hectares,” he said. District Resettlement scheme manager, Bumbila Seko said more than 1,000 plots allocated were demarcated and that the department would carry out a survey. During the same meeting, 60 MMD members in the area defected to the ruling party. Patriotic Front Luanshya District chairperson Stephen Chungu welcomed the new members and urged them to support the Government.